Here at Zizoo, we love making your dream sailing holidays come true. However, we want to clear up a few things about our sailors. 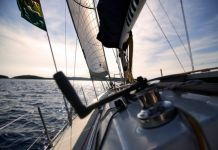 When our guests book a sailing holiday in Croatia or a sailing vacation in the Greek Islands, we have a feeling they’ve got a certain idea of what our skippers actually do. The common misconceptions about the life of a sailor are too often reappropriated, and we want everyone to know how fantastic our skippers are. 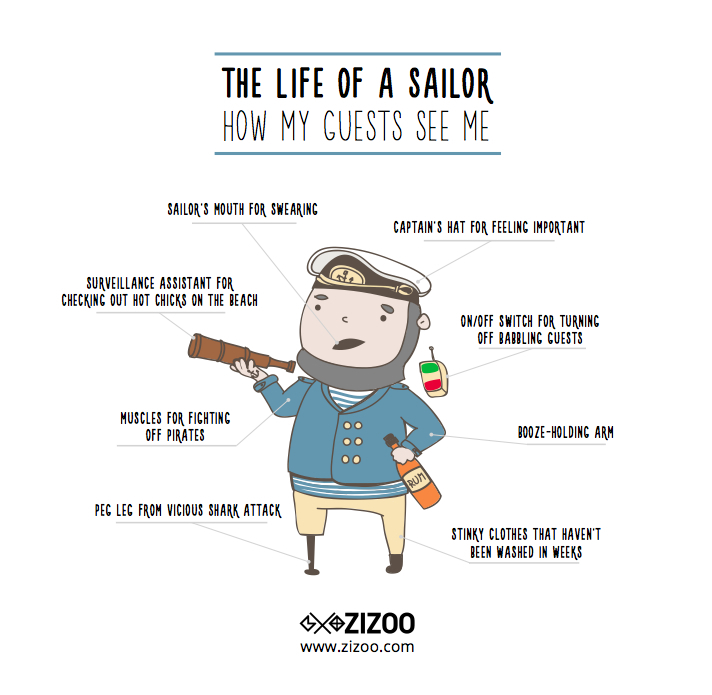 This is why we’ve created a funny little infographic to educate our guests and the sailing community, and to clear up all those crazy ideas you guys have of what a sailor really does at sea. From peg legs to captain hats to empty bottles of rum, we’ve heard them all! 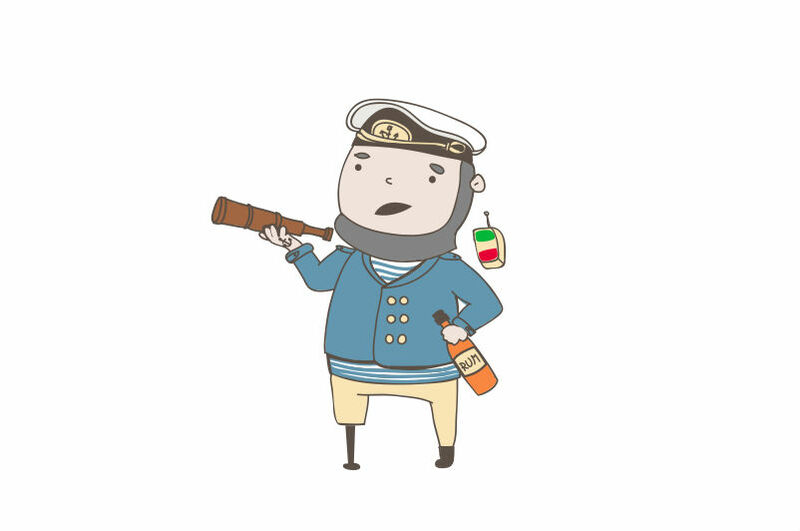 So now, we introduce to you our Captain Zizoo, who’s here to explain the eight myths about sailors that just aren’t true. Help him spread the word! Send Captain Zizoo to your friends, or post him on social media.